When you reach your own optimum level of fitness, it's only natural to want to share you working out expertise with others. You have two options when following this calling in life: you could become a personal fitness coach, or you could start your own gym. If you think that you have copious amounts of time, effort, passion, and understanding needed for the latter, then why not give it a go? You can start your very own gym, regardless of whether you have any experience in that particular field or not. You can't just place a few workout machines and other pieces of fitness equipment in your garage and call yourself a gym owner. In order to be able to do that, you need a number of specific certifications under your belt. First, you should seek to obtain a personal fitness qualification or, even better, personal trainer certification. By doing so, whether you want to assist people with their fitness one-to-one or not, you will garner the knowledge that is always beneficial to an individual who seeks to help others get fit. Also, on your degree program you will find yourself making valuable connections in the world of fitness, many of which could end up working for your gym as fitness coaches in the future, so getting yourself enrolled on a course is also beneficial in that sense. As well as this, to become a gym owner, you have to receive accreditation from The American Council on Exercise. By doing so, not only will you make your venture to become a full-fledged gym owner official, but you'll give yourself a better chance of obtaining a business loan later on down the line. Setting up a specific type of gym is entirely dependant on your own personal fitness preferences. After all, you cannot run a gym operation if it doesn't at all impassion or inspire you. This means that you have to take a look at what kind of workouts it is that you enjoy doing, and you have to provide machines that facilitate these workouts in your gym. By setting up a particular kind of gym, for example, a bodybuilder's gym, you will instantly brand your business and create a client base for it. Once you know what avenue you wish to go down with regards to the type of gym that you want to open, you have to get the venture financed. First of all, this means working out how you are going to fund the starting up process. As stated, if you do everything correctly in regards to certification, then you should be able to obtain a business loan. If you cannot get such assistance from a bank or other lending company, however, then you might want to consider taking out a personal loan just to cover your initial expenses. If a chequered history in regards to credit and prepaid debit makes you think that isn't a viable option for you, then think again. There are ways to take out payday loans with prepaid card and with bad credit, which means your personal problems of the past need not hold you back from a successful business-owning future. You should only put your own finances on the line in this way, though, if you are sure you are going to be able to pay back the money you borrowed on time and in full. If you want your gym to be a success, it has to be located properly. If it's not, it simply won't get the attention from customers that it needs to survive. To pick the right location, you have to be incredibly strategic. You have to anticipate where your target client base resides and you have to set up your gym in that area, doing so will make it easier for customers to reach you. It means that you have to conduct some serious market research, taking key demographics such as foot traffic and client population concentration into account when you do. When it comes to finding the perfect location, you also have to take the physical amenities that it offers into account. To the point, the only rentable buildings or available plots of land that you should take seriously should be those that are big enough to hold all of your equipment and those that are accessible by foot, car and public transport. If you find a location that hinders your customers in their quest to get rather than helps them, quite simply, they'll find another gym to use. As soon as your finances are in order and the deposit has been put down on your gym's location, it's time to get the ball rolling in regards to the sourcing of your equipment. 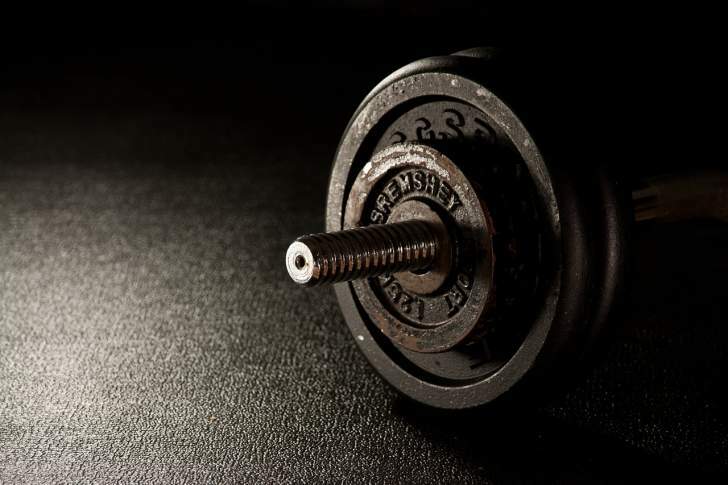 No matter what type of gym you seek to open or what its specific niche is to be, the first equipment you should bring in should be those that fall into the category of being free weights. Any self-respecting gym has this sort of kit, which includes bench presses, dumbbells, and curl racks, in abundance, so make sure you fill your gym out with it. As well as this, you should also bring in cardio equipment such as treadmills, exercise bikes, and rowing machines. Doing so will appeal to the generic members of your audience, and they are just as important to you as the members of your target audience are. If you have a particular proclivity for all things working out and fitness and if you have a desire to open up your very own business, then you should consider starting your own gym. When you seek to turn this dream of yours into a reality, make sure to remember all of the comprehensive pieces of the advice that you have come across above.